Why not even form a version of the football and other sports focused betting sites, like the affiliate code from nairabet, and make it focuse solely in running so that people would as well try and learn more about running and runners in order to better their odds of winning? This manager agreed to talk with me on these issues on condition that I don't disclose him as his remarks may easily be quoted in the wrong context by certain people who have done so in the past. 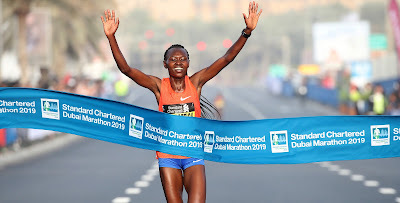 It was the future of the running sport, the challenges it faces and whether we will continue to see the dominance of some events by athletes from certain regions. "If sponsorships were to be based on the athletes who labor and sweat the most, then definitely long distance runners would deserve the highest endorsement money compared to the other sports people, but unfortunately, this isn't the case. The clothes manufacturing companies, like any other businesses, invest more of their money where they will get more returns," says the manager. As he said this, golf came into my mind. I am not sure whether the guys who do golf actually even sweat a drop, yet some of them are among the most paid sports people in the world. He asked me whether I had been to the social places over the weekend of late and noticed what their TV sets show, of which I confirmed that it was mostly on the English football premier leagues. He explained to me how David Rudisha may be a public figure here in Kenya, but that if I would take a trip and land randomly in the middle of another city in another part of the world, I would be in no surprise to find out that very few people will have heard about him there. At the same time, any big star in football can land in any city and it will need the intervention of the security personnel to contain the crowds that will flock to him to sign their autographs or take photos with him. Like anyone would prefer to cut down on the costs of luxuries and buy only the basic needs during tough economic times, the sponsoring companies are doing a much similar thing by putting their money on sports with greater numbers of fans. He believes that the right people to popularize the running sport are journalists, sportsmen themselves, fans and all their friends and families. He told me of a business premise in Europe providing social services to the public where the owner, being his friend now keeps magazines on running for clients to go through as they wait to be attended. The more the populations get to know an athlete, not as merely a competitor, but as a person just like them, with family backgrounds, loved ones, what makes them run, the more people will feel involved and begin to like the sport. He suggested to me that journalists should focus more on the life of the athlete, not the nationality! He would prefer if they said, for example, "Paul" won a certain race, rather than saying, "an Ethiopian" won the race. After big races, there are always press conferences for athletes to address the public and he observed that instead of seizing the opportunity, most long distance runners shy away from these conferences. Those who grab the opportunity to speak, on the other hand, only focus too much on the competition itself and how they ran, instead of talking about the life experiences that others may relate to, like his early life and how he came to run, for example. I asked him whether the emergence of new agents and managements are affecting the sport in anyway and he said that the numbers do not matter, and that he would welcome new managements with brilliant ideas for the betterment of runners and the running sport in general. On whether he thinks Kenyans shall continue dominating the long and middle distance running in the future, he thinks they shall continue to do so, not because they are genetically superior, but because the number of Kenyans training is bigger than those training elsewhere in the world. According to him, there is a brighter future for the sport, although he is not sure whether it will equal the success of soccer any time soon.